Last year we revealed Z gauge, now we have something even smaller. Not, this time, from the Trade, but from Arthur Sherwood of Sydney, Australia. 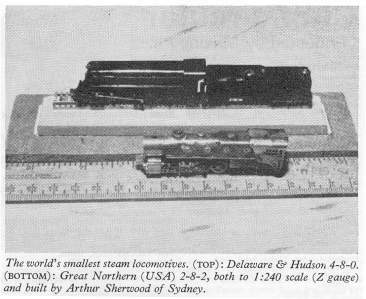 Many readers will be familiar with his work in connection with 00 gauge live steam, but here we show the smallest yet, a 1:480 scale model of a GNR 0-6-2. As they say in show business that! 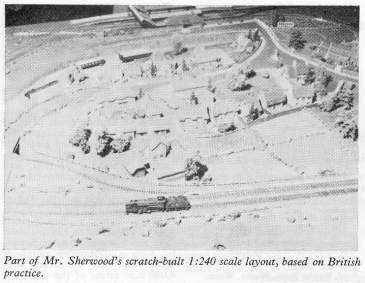 As a relief from such small work, Mr. Sherwood has built an extensive system, to 1:240 scale, with several locomotives based on LMS and Southern projects. I'm not quite sure if he was inspired by Z gauge, or arrived at substantially the same dimensions independently, but the whole model is certainly a great achievement. What is more, as one might also expect, he has built a working live steam locomotive in 1:240 scale, based on a Delaware & Hudson 4-8-0. An even more detailed model, an American Great Northern 2-8-2 is under way. His extensive 1:240 scale layout has already appeared at several Australian exhibitions, but his real love is his live steam models. I only hope all those jokers who made fun of Z a twelve-month ago are paying attention! 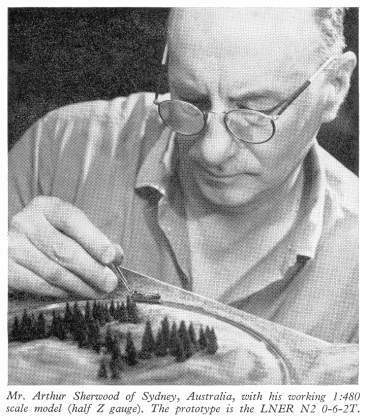 I came across an interesting story not long ago while reading the new Linn Westcott book "Model Railroading With John Allen", just released by Kalmback Publishing. 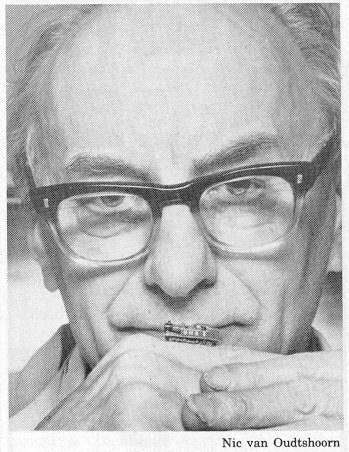 It seems that back in 1971, a certain "Robert Thomas" sent MR photos of some tiny 1/400 scale models. 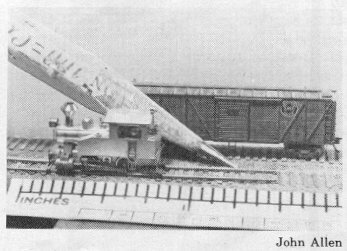 N scale is 1/160, so these models, if they had really existed, they would have been half the size of N. It turned out that Mr. Thomas was really John Allen having a little fun.He faked the photo using blown-up photos of a pencil and ruler and placed them in front of HO equipment. Amazing as John's fakery was, nowadays he's being outdone and this time for real. According to reporter Nic Van Outdtshoorn, Arthur Sherwood, associate professor of mechanical engineering at Sydney University, Australia, is making models in 1/480 scale, that's less than half the size of Z scale, 1/220.